Optimistic - enjoy everything in my life! Easy-going - easy to make friends around me! Intellectual - like learning new things! One month internship in a Trading Company. Worked as a participant and interpreter in Cisco System Asia-Pacific Banking Executives Summit. Worked for Schneider Electric (Shanghai) Supply Co., Ltd Customer Service Department. Worked for a daily newspaper "International Fiance News" as an editor and translator. Worked as an interpreter and business companion for a businessman from South Africa. We went to meet a lot of suppliers both in Shanghai and out of Shanghai. Cicely is very friendly and helpful and a pleasure to work with. Her professional conduct is excellent and language skills are good. Extremely pleased with the help and assistance experienced generally from the organisation. Our interpreter, Cicely quickly understood our products and done a fine job of assisting us whilst on visit to China. I would recommend your service to others. Cicely is very helpful. She is very nice, I think I will hire her again during my next trip to China. Cicely's foreign language skills are outstanding. She showed up on time, maintained a very professional manner and managed the interview program today very well. I plan to use Cicely again at a late date. I am writing to say that we were very pleased with Cicely yesterday. She is an intelligent person and did an excellent job in expressing our ideas during the meetings. In the end, we managed to meet with everyone because Cicely was willing to work hard until the job was done. 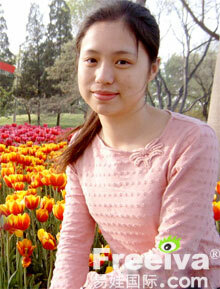 We were completely satified with the work Cicely did for us and we would hire her again when we are next in Shanghai. Cicely's language & professional skills were very good,she showed us a good time.We would like to use her again during our next trip to China Shanghai Allt.I recommend her! This was the first time I have used the IVA service and Cicely was fantastic for a business traveler or holidayer. She is perfect-punctual, helpful, pleasant to travel and be with. She is very professional in negotiations and introduction to suppliers, handling traveling arrangements and translation. In one phrase I would describe her attitude as:"Saving you money, saving you time, putting you first". I will gladly recommend her to anyone looking for an IVA. Command on English of Cicely is very good. She has also a very good communication skill. During my total program of six days, I have not heard any time ?°No?± from Cicely as she was always eager to do hard work for me. Cicely has also good knowledge about site seeing points of Shanghai. I think she is best as a guide as well as travel companion. If I will visit Shanghai next time, I will select Cicely and her company as my business and tour guide and travel companion for Shanghai. I think my tour can not be truthful if I was not found help of your company and Cicely? ?s guidance. Thanks for providing me help through your wonderful website and best guide. Cicely was our guide and interpreter this week in Shanghai. She attended our business meetings with us and escorted us to important sites. Cicely spoke well on our behalf and conducted herself in a professional and pleasant way. She confirmed our taxi fares, arranged train tickets and helped to make our stay in Shanghai easy and productive. Her personality is always thoughtful and she has gone out of her way to assist us. Cicely represents the best and most intelligent picture of Shanghai and China. She has helped us to love this city and its people. I recommend her with my highest regard. IVA( Cicely) will reply you later, you can login in your account to check IVA's reply ( View "Inquiry List" ). And you can discuss more details with IVAs.